This article is one of many that will be posted every week. It presents different scenarios supported by Sharegate. For this first article, I will show you how to convert Lookup values to Managed Metadata Terms you copy content from SharePoint 2007 to SharePoint 2010. Let's say that you have a list in SharePoint 2007 with a Lookup column. You also have the same list in SharePoint 2010 with a Managed Metadata column instead. When you copy content from SharePoint 2007 to SharePoint 2010, you want to convert the different Lookup values to their corresponding Terms within the TermStore. 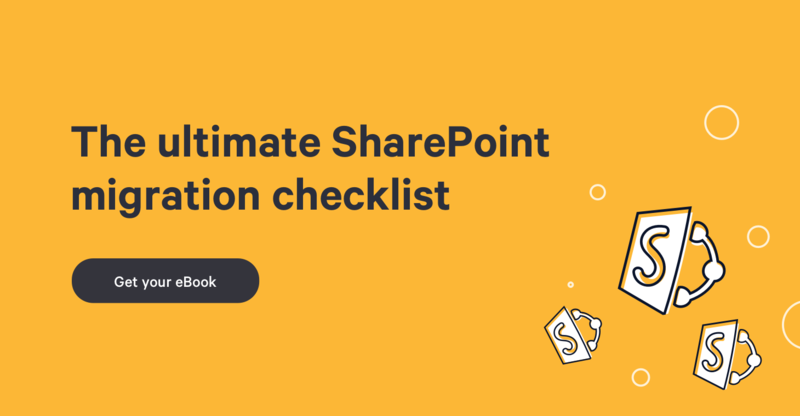 In this article we'll be using the Copy SharePoint items tool, but it works the same way with the Copy SharePoint documents tool. You'll notice that I've intentionally ignored the 'Value 4' in the TermStore, so I can demonstrate a conversion error (see later in this article). In SharePoint 2007, the Lookup column name is 'Lookup'. In SharePoint 2010, the Managed Metadata column name is 'ManagedMetadata'. Before copying the items, both columns must be mapped together using the property mappings window and that's really powerful since Sharegate doesn't really care if the column types are different. In our case, we map a Lookup column with a Managed Metadata column. They have different names and types. We must drag & drop the items to copy content from SharePoint 2007 to SharePoint 2010. Then, we must create a property template that will be applied to the selected item. We can see that the column 'ManagedMetadata' is mapped to the column named 'Lookup'. This is due to the property mappings we did in the previous step. For this column, we must set the default option 'Keep original value'. The selected item from SharePoint 2007 is copied to SharePoint 2010. We can see that the terms were set correctly in the Managed Metadata column. It's that simple. But what if a lookup value has no corresponding term in the TermStore? If you have an item at the source that used the lookup value 'Value 4' but there is no corresponding Term in the TermStore, Sharegate will throw an error and will let you adjust the value during the copy operation. This subtle behavior enables powerful scenarios when migrating from SharePoint 2007 to SharePoint 2010. In this example, we convert a Lookup column, but it could also be a Choice column or any other column type. This feature allows you to change your information architecture drastically without having to hack anything to fit your migrated content. They are many behaviors like this one that we'll explore in the next weeks. You'll quickly realize how powerful Sharegate is.